No matter if you are a managing director, a company employee, or a sole entrepreneur, an elegant business card is a powerful networking tool for yourself and a means of promoting your business. If you don’t have one yet, it’s high time to make a business card, impressive, stylish and professional-looking. 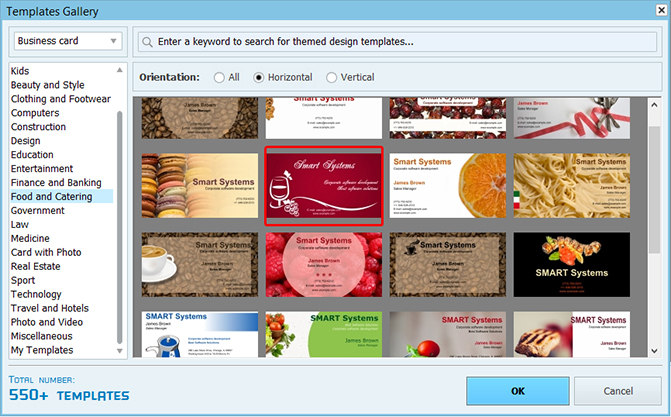 Thanks to business card software available today, you can do without design studios and printshops. Making your own business cards is a great way out if your promotional budget is limited, and it can be a lot of fun, too! Not sure how to go about it? Here is how to make a business card in a few simple steps. 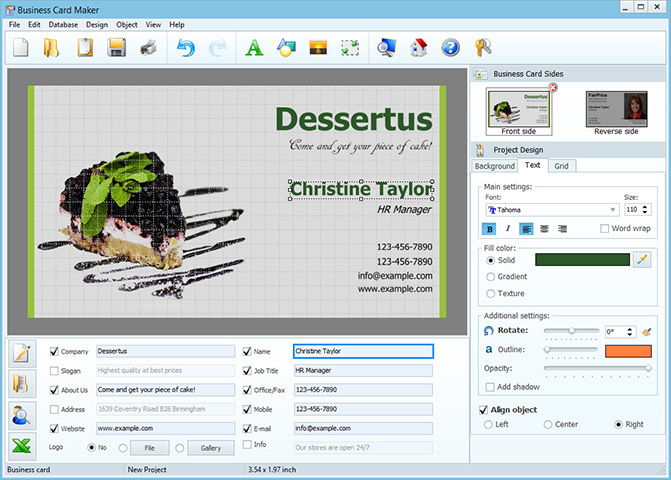 To start off, download Business Card Maker – a handy tool which can make a business card in one minute. Install and launch the program. A wizard will appear to get you started. To make a business card, click New Business Card. Creating the card involves a few steps. First, you should pick the card type, depending on the intended use: business card, contact card, company card, or badge. Next, set the card format. You can choose between standard sizes, or specify a custom size. After that, the wizard will prompt you to enter card data. Check Enter now if you wish to do it at this stage. Alternatively, you can enter contact data later in the editor. It is also possible to load card data from the integrated database. Business Card Maker allows you to enter your personal and company name, job title, the company logo and description, contact details and extra notes. After entering the data, click Next. The Design tab lets you choose between creating your own original design, or using one from the program gallery. If you prefer a ready-made template, click Select design template. This will open the Templates Gallery. Here, you have a rich choice - there are numerous business card templates for different kinds of businesses and institutions, such as travel agencies, real estate firms, cafes and restaurants, hospitals, schools, and lots of others. You can also create your own designs and save them to the gallery. You will probably want to make some changes to the generated card layout. This is easy to do using the editing tools in the right panel. You can change the background, move and align any object or text block, add shapes, pictures, and text. Any image on the card can be replaced with another one – from your file, or from the program gallery. You must save the card project after editing: File > Save Project. Step 5. Print Business Cards. Click the Print icon, or File > Print. 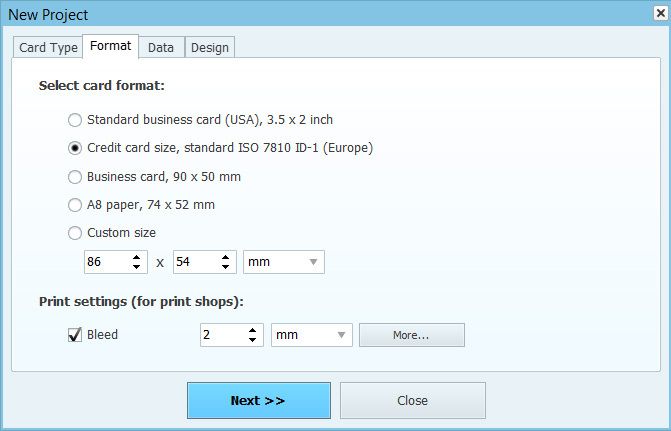 In the print dialog, set the paper size, desired print resolution, and the number of cards. The program will fit several cards on a page in an economical way. You can be sure to get perfect print quality both on standard laser or inkjet printers and on professional machines.